My oldest daughter loves My Little Pony Friendship is Magic. Loves it. I have, unfortunately, seen every episode numerous times. All in, it’s not that bad of a show. The characters are all ponies, so there are no body issue concerns. The main pony, Twilight Sparkle, is smart and dedicated to her studies. At no point in the show do they have gender issues. Most of the main characters are female, and they always solve their own problems. It shows the ups and downs of friendship, how things aren’t always perfect, and teaches lessons like inclusivity. There’s even the occasional funny that only an adult would get. So, why am I saying Disney needs to buy them? Because I am tired of not being able to get my daughter the toys she wants. You want Elena of Avalor? Aisles are full of her. You want Moana? No problem. Every Disney princess back to Snow White in 1937 is available to be purchased at your local Target. Want something a little more exotic? Amazon or Toys R Us has your back. Want Diamond Tiara, one of the “villains” in the show that starts out in Season One and is a key player throughout the rest of the six seasons (not sure about the seventh yet)? Well, they made her once, in one set. That now sells for $279.99 plus $19.99 shipping. 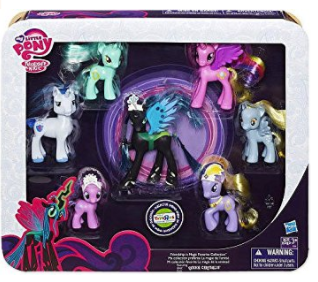 I’ve been trying to find this pony for my daughter for two years at a reasonable price. Can’t find it. Disney would not tolerate such nonsense. You’re willing to give them money for a pink pony with a tiara on her bottom? Here you go, they’ll make a couple hundred thousand. They would way rather take your money than not take your money. Maybe this sounds like I’m being a little materialistic or driven by consumerism. And it is, a little. But this is one toy my daughter loves to death. The only show she *has* to see. We gave up cable years ago, and I buy the new episodes for her on Amazon. Way cheaper than a cable subscription, it’s commercial free, and she can re-watch the episodes to her heart’s content. 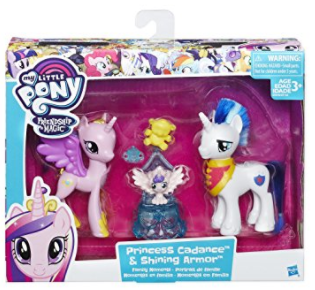 I’ve learned that the moment I see a new MLP thing in the store, I buy it and hide it away for my daughter. If I don’t, it won’t be there at a price I’m willing to pay. I saw this set with three of the main characters in the show at Target precisely once for $14.99. It’s now selling for $35. But hey, it comes with free shipping! Whoever is selling a kid’s toy for more than twice the price, I hope karma finds you. Again, if Disney saw this selling for $35, I’d expect them to up their price from $14.99 to $19.99 and then flood the shelves with it. Moana came out in 2016. I have no problem getting toys. Why can’t Hasbro up their game? Why do all of their toys have to be like Tickle Me Elmo when they even bother to make them? I wish I could say it was one or two “special” sets that this happened with, but it’s over and over and over. Go ahead and try to find a Queen Chrysalis. At least they made her. A bunch of the other frequent characters are nowhere to be seen. Discord, Big Macintosh, the changelings in their new evolved state. Where are so many of the characters that make the show interesting? If you’re Disney, on the other hand, they’ve got you covered. You want Olaf, a troll, or even a snow man made from a sneeze? Yup, you got it! 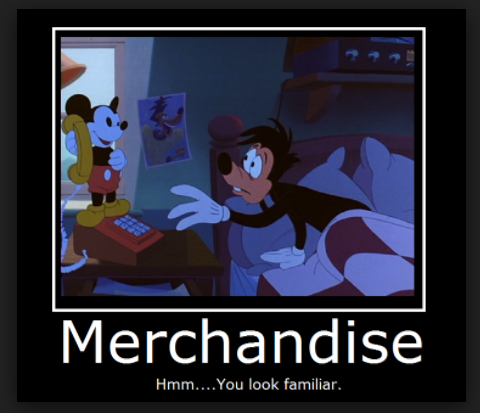 So, yes, I would like Disney to go ahead and take over the merchandising rights for My Little Pony. Let me be able to buy my daughter some of the characters she loves. I already know she’ll play with them until they are so mangy not even a bath in dish soap will save them. Yeah, that knowledge comes from experience. Who knew plastic could be forever permeated with child fingerprints? How about you? Your child ever want a really hard to find toy? Maybe there’s something you want that you can’t seem to locate? Or perhaps your children are also My Little Pony fans and you can totally commiserate?